After so many people have been successful in claiming back unfair charges from their bank, it is amazing to hear that credit card customers have not been as quick to act. However, unlike bank charges, it is still possible to rake that money back through similar tactics as the principle for the two cases is exactly the same. The Financial Services Authority (FSA) recently granted the banks permission to put any reclaim cases on hold until a decision in the test case is reached. Although, this only applies to those that provide current accounts with an overdraft facility - so credit card providers could be in for a shock! 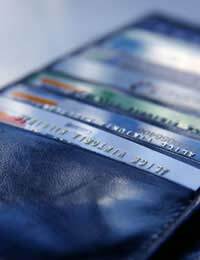 If you have been hit by an unfair credit card charge, then you can still complain and even go as far as taking your case to the financial ombudsman if the provider fails to deal with your case to a satisfactory level. Legally, the argument surrounding these charges is based on what is called 'contract law'. This basically means that the charge inflicted must reflect the true cost incurred by the institution, or if the charge is for a service, must be reasonable. Last year the Office of Fair Trading (OFT) ruled that card companies shouldn't charge customers more than £12 in the form of a penalty, and if thy did would have to supply sufficient evidence to justify why the charge is so high. The majority of credit card companies charge customers for three things - a late payment, exceeding the agreed credit limit and a returned payment. They are, however, sneaky as to how they enforce the charge. Unlike banks who usually send you a letter informing you of the impending charge (so that you can ensure you have enough money in your current account to cover it) credit card companies simply add the charge onto your monthly statement under 'new transactions'. Credit card companies are a lot more lenient though when it comes to charges. For example, if you had made the payment with good faith a few days before the due date, and it had not cleared in time, they will probably cancel the charge if asked. Although if you are a serial defaulter they will be more inclined to impose the charge. With bank charges it is possible to reclaim charges from up to six years previous, and credit cards are a similar story. You will have to request a comprehensive list of charges from your credit card provider, which, similar to the banks, they must provide within the statutory 40 days. Once you have calculated how much you are owed, you can try to calculate the interest you have paid on the charges. Also, just to cover yourself, request a copy of your original contract with the provider, plus any changes that have since been made. This will help your case should they attempt to claim that the charges are for services you received. If you are refused a refund over the phone, then you should write an official letter stating the amount and date that the charge was made and the reason why you feel that the charge should be refunded. If you have gone back over a few years and have a significant sum to reclaim, make sure you include all of the evidence and the final amount in the letter. Remember to keep a copy of your correspondence (and write down the dates, times and name of the person you speak to if you contact them by phone). You should receive a reply within a fortnight either offering you a full refund or rejecting the request that you made. The provider may attempt to inform you that the FSA has put a waiver in place, at which point you can remind them that this only applies to providers of current accounts with an overdraft facility. Stick to your guns, keep in contact with the provider and set deadlines for them to respond. If you aren't offered a refund, there is also the option to take the provider to the small claims court. Write to them and inform them of your intentions, they will probably agree to a settlement soon after.